Satan hates the Gospel message, his agenda is to deceive mankind from understanding and believing so they can suffer eternally with him. Some emerging church leaders do say they love the Cross, but an underlying theme has entered the church. It says that while Jesus' going to the Cross was an example of sacrifice and servanthood that we should follow, the idea that God would send His Son to a violent death for the sins of mankind'well, that is not who God is. A loving God would never do that! Such a violent act would make Christianity a 'slaughterhouse religion', a 'precivilized barbarity'. 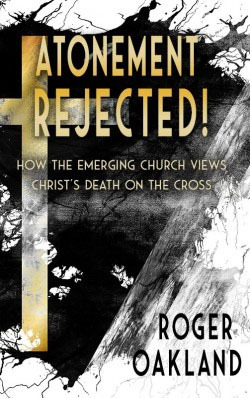 Distorting the compassion of God through Jesus, his belief says that God never intended Jesus' sacrifice on the Cross to be considered a payment for our sins: The Churchs fixation on the death of Jesus as the universal saving act must end, and the place of the cross must be reimagined in Christian faith. Why? Because of the cult of suffering and the vindictive God behind it.